In recent years the sports industry has seen dramatic changes in its digital transformation, with technology such as VAR and solutions connecting every fan to everything in the sports world. The industry itself is entirely reliant on the entertainment value to its customers and fans, and as nearly each and every one now owns a smartphone, this transformation has been essential in order to maximise its potential. The shift is undeniably moving towards an experience that can be described as immersive and interactive, powered by mobile and digital technology. Ofcom reports that in 2017 94% of UK homes had a digital TV, and nearly 90% were connected to the internet. That’s as well as the 94% of sports fans that have a smartphone which allows them to be constantly connected to the web. Sports teams across the globe have become more and more brand aware, for and because of the rapid increase in personally owned smartphones, so digital brand platforms have become central to their digital strategies. Digital fan engagement relies on the successful delivery of content at the right time and in the right place, making digital content management systems and media libraries take centre stage in those brand platforms and technology hubs. Regardless of where they are in the world, fans can now indulge in experience remotely, and seamlessly ‘graze’ through continuous streams of dynamic live sports feeds, editorial, features, gallery, video and social posts. Digital sports platforms must deliver high quality content every minute and every day of the week, or those teams and businesses that rely on their fans and customers will simply fail to keep pace and lose the game. As the value of clubs, teams and players increases, so does the competition, and nobody can afford for fans to go anywhere else. Visual content with high impact and easily accessible is what fans demand. From live viewing of high-resolution, high quality content across multiple platforms to consumer-generated content, viewing, sharing and editing post-event. The players themselves continuously need images for their own online digital platforms too, like social media sites, their own websites and personal PR channels. It’s the appetite for digital content that’s driving the change. Technology is also working for the sports industry when it comes to AR and VR. With smarter data comes smarter targeting and ‘online everywhere’ reminders of events to sign up to. But where it’s not possible for fans to turn up in person, augmented reality and virtual reality are being used to bring the game to the people. 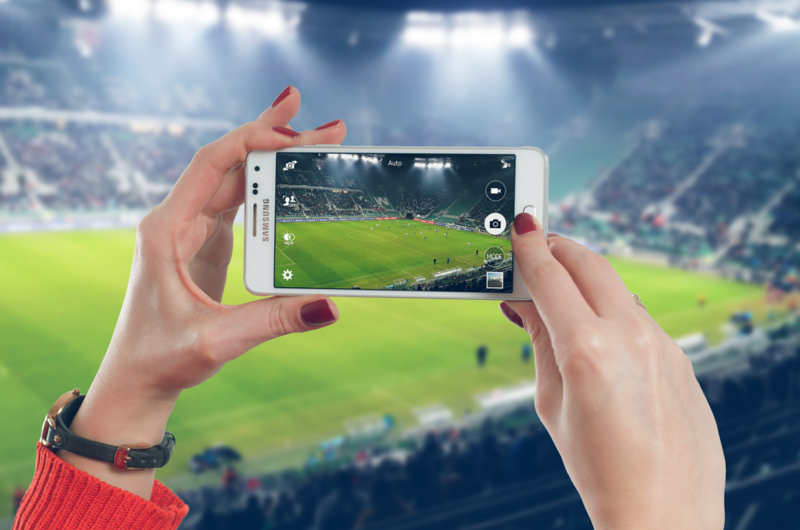 In some cases, these digital experiences can reveal more than the traditional ones, as fans can access views from the referee’s position, or explore venues and stadiums in ways not possible in person. As a digital library software company, Third Light has steadily grown its portfolio of customers to include high-profile sports brands, both in the UK and overseas. In addition to Southampton Football Club, recent customers include AS Roma and US NBA’s Phoenix Suns, who are using Third Light to manage their ever-increasing library of photos and improve their digital fan experience. Third Light develop feature-rich media library software. You can organise, tag, find, share, edit and download all of your digital files quickly, easily and securely on a cloud-based or licensed solution.